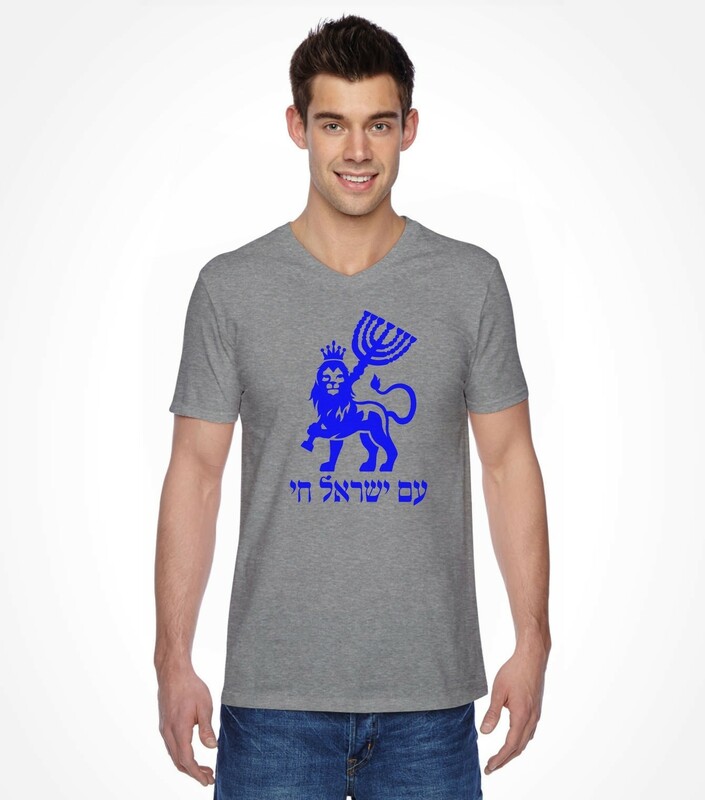 This Hebrew shirt print takes the symbolism of the lion and combines it with one of the most important symbols in Jewish history, the menorah. 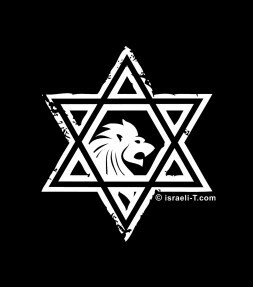 The lion lifts it strong head high to show us that he won't back down without a fight - just like us. 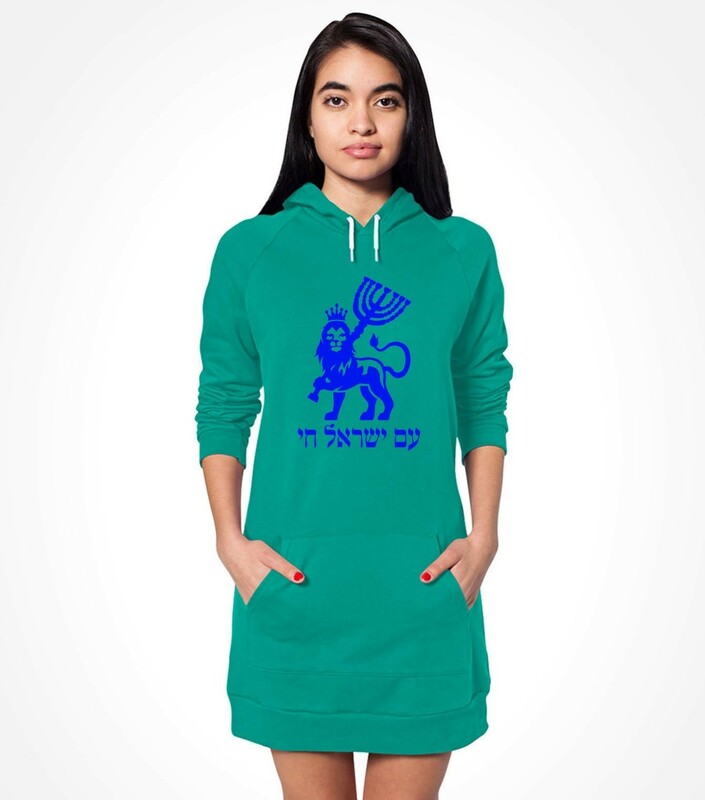 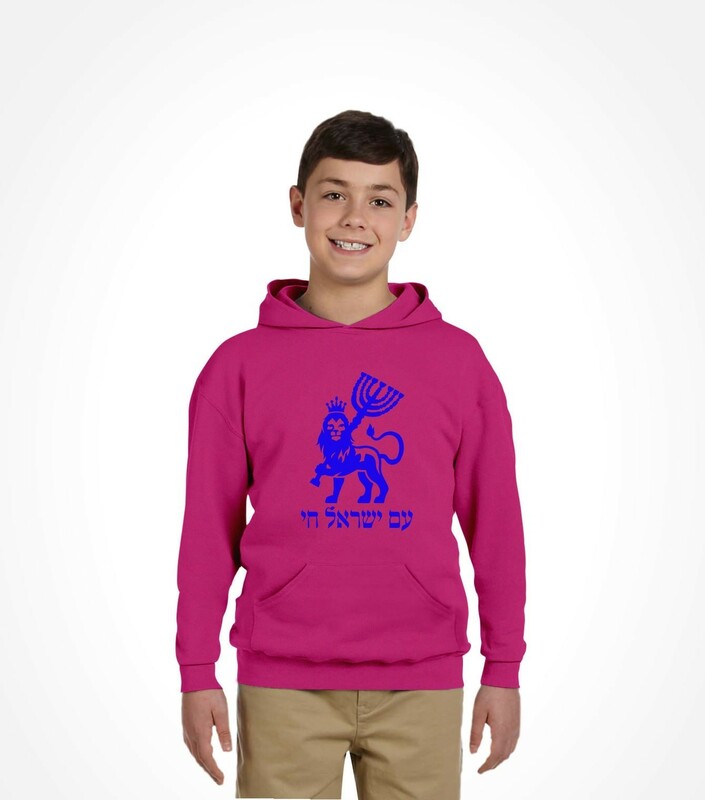 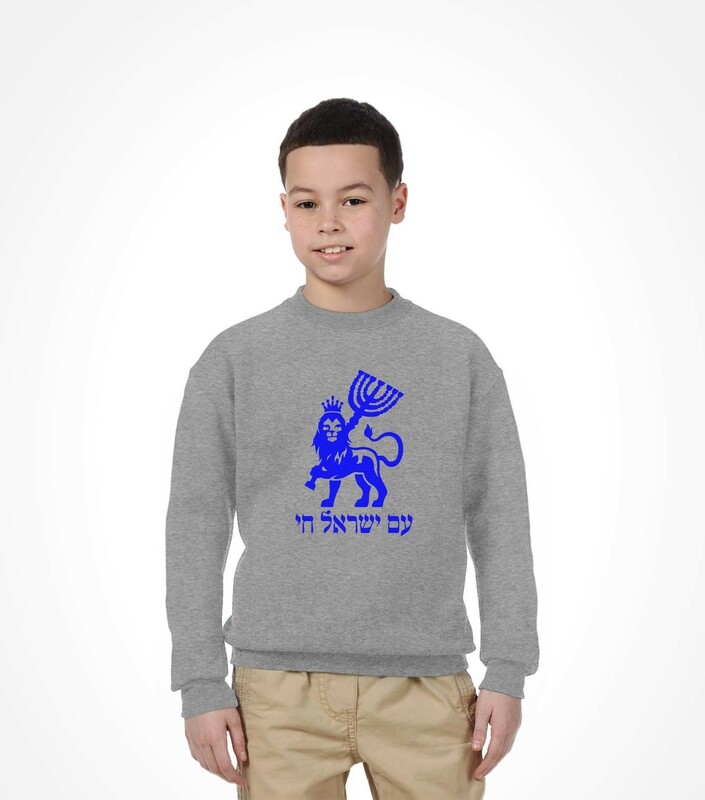 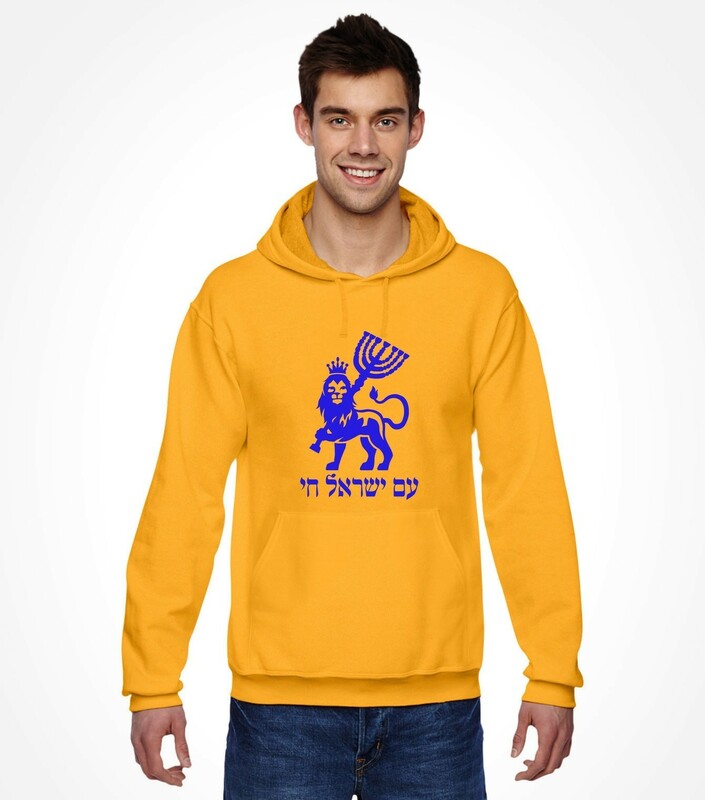 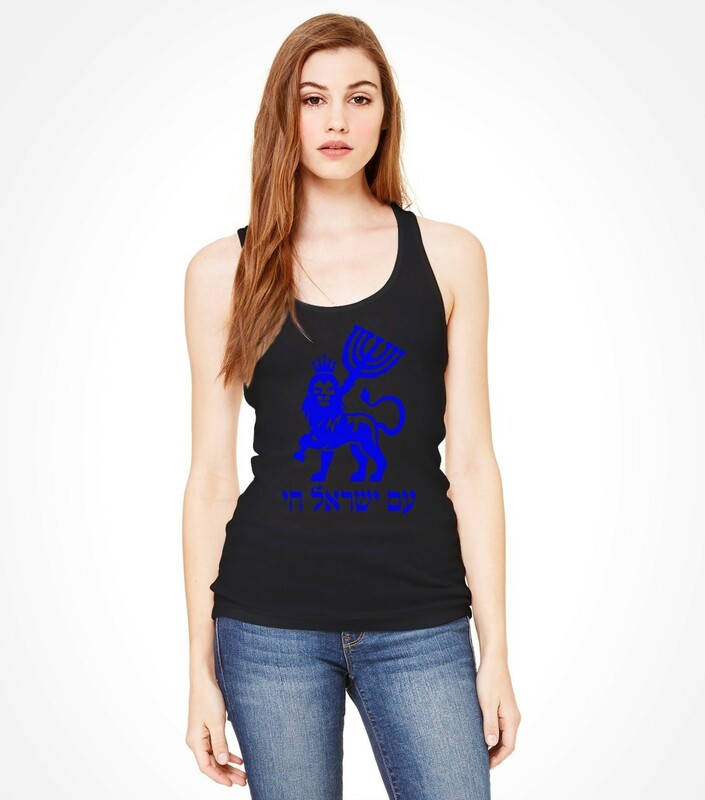 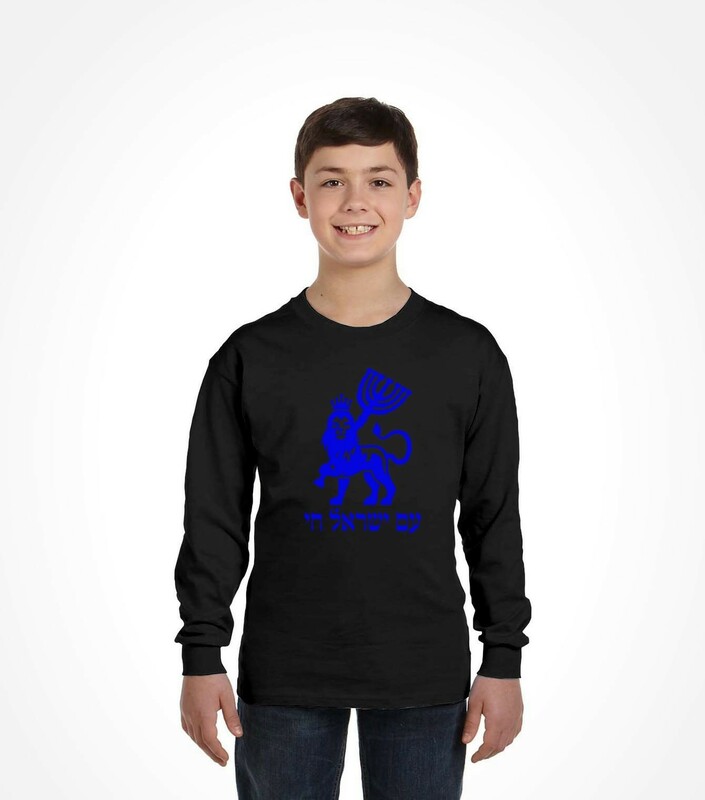 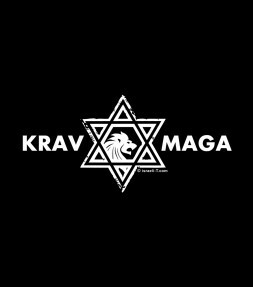 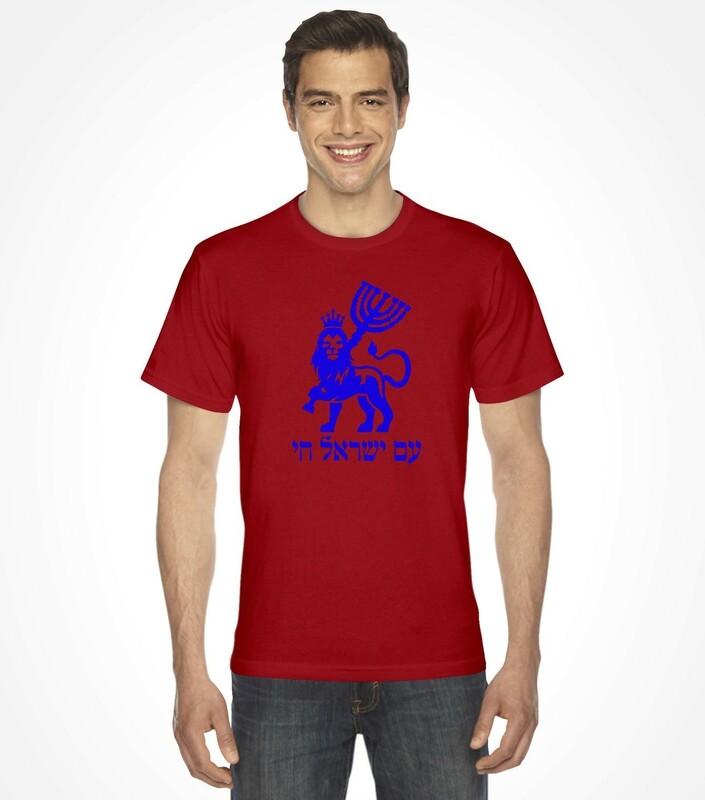 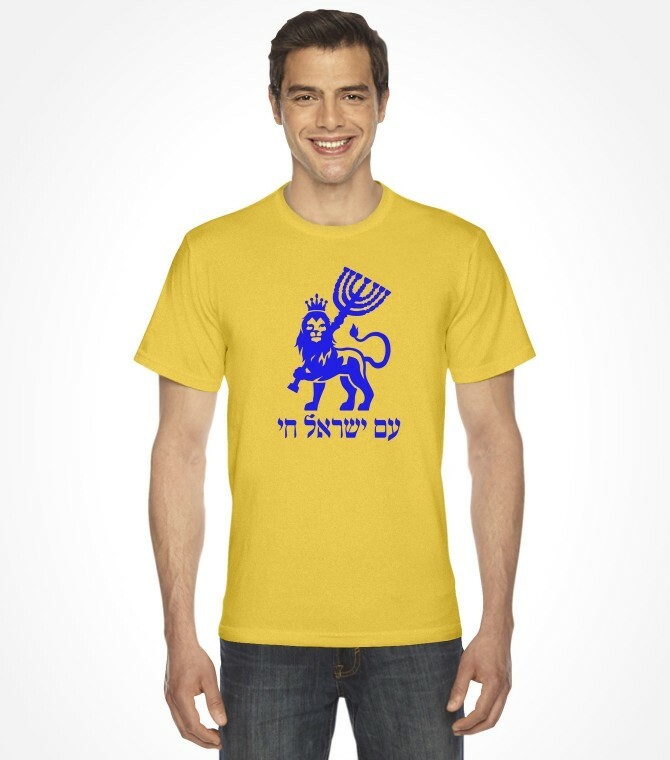 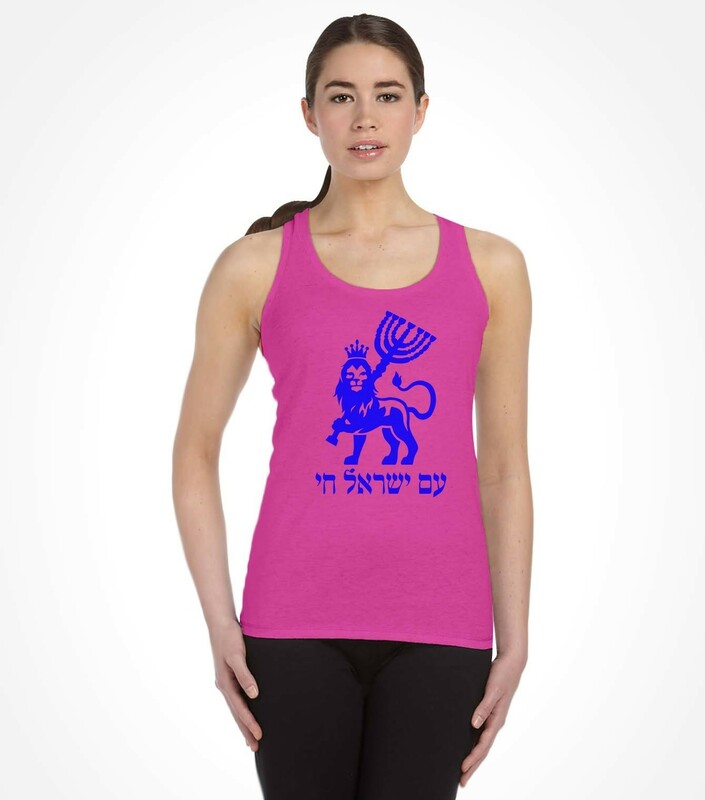 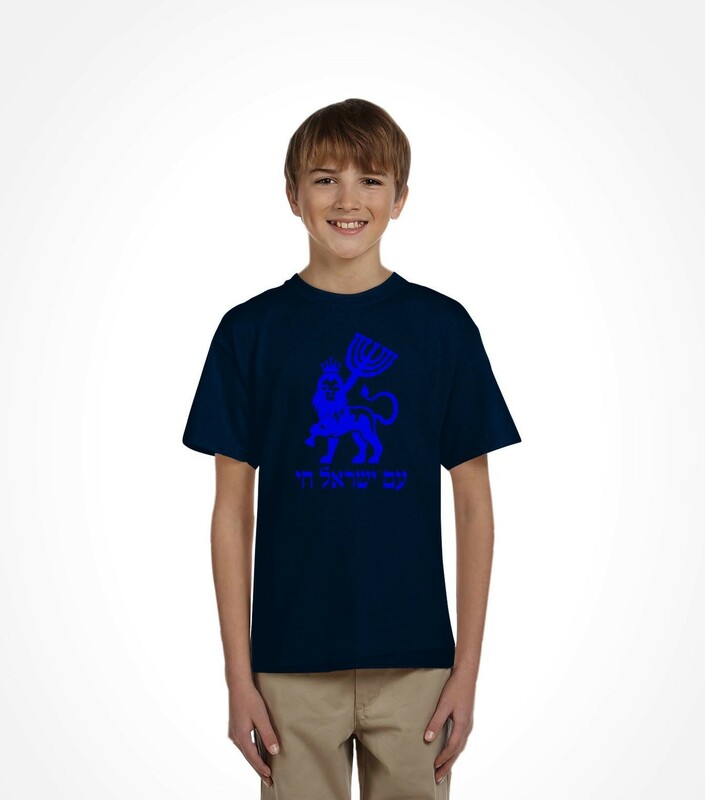 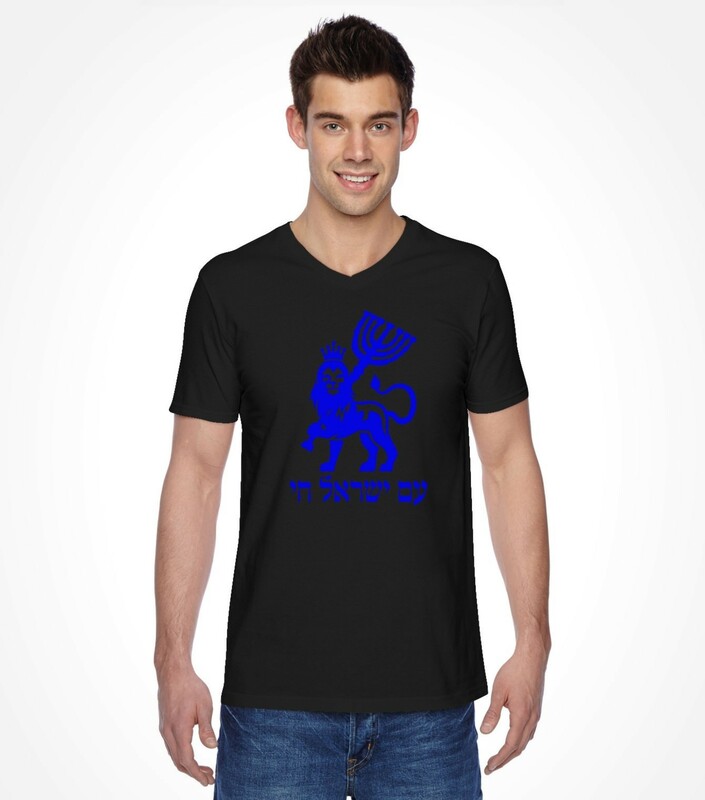 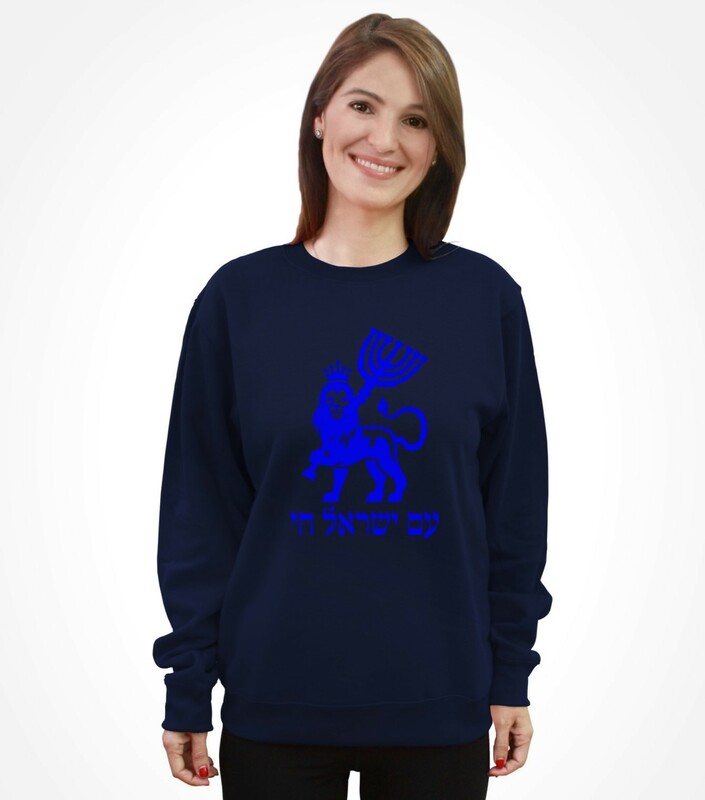 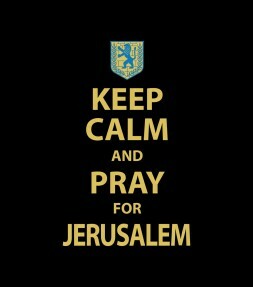 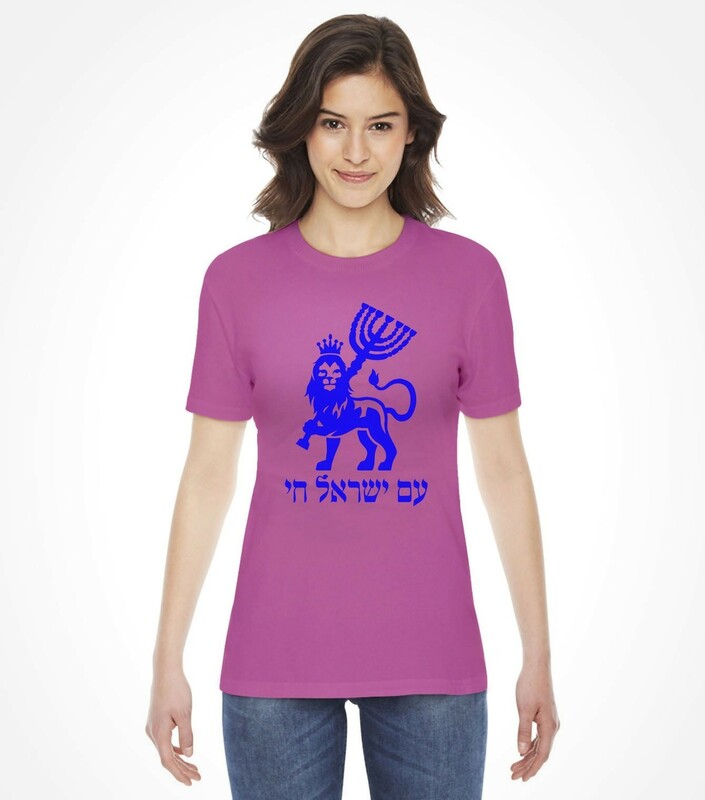 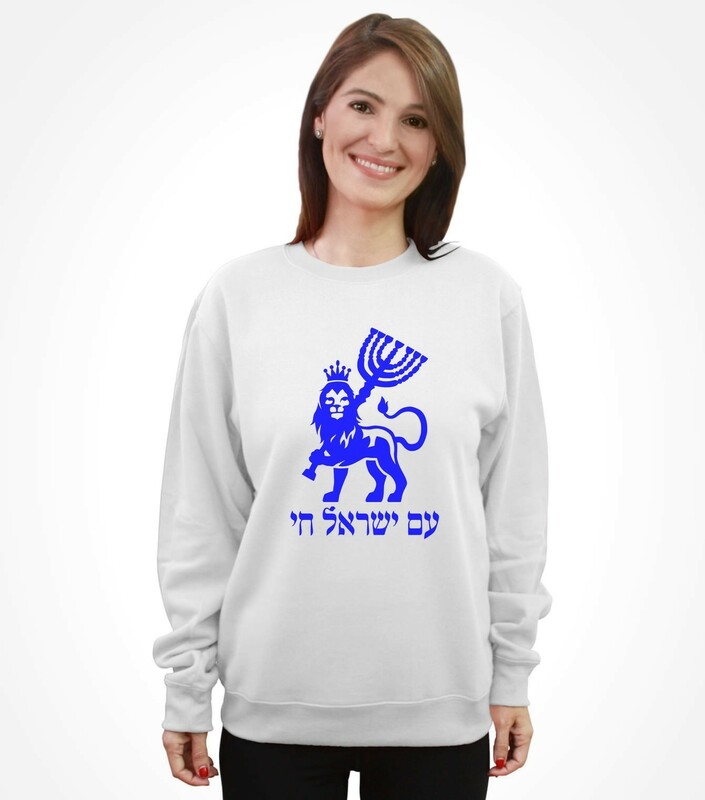 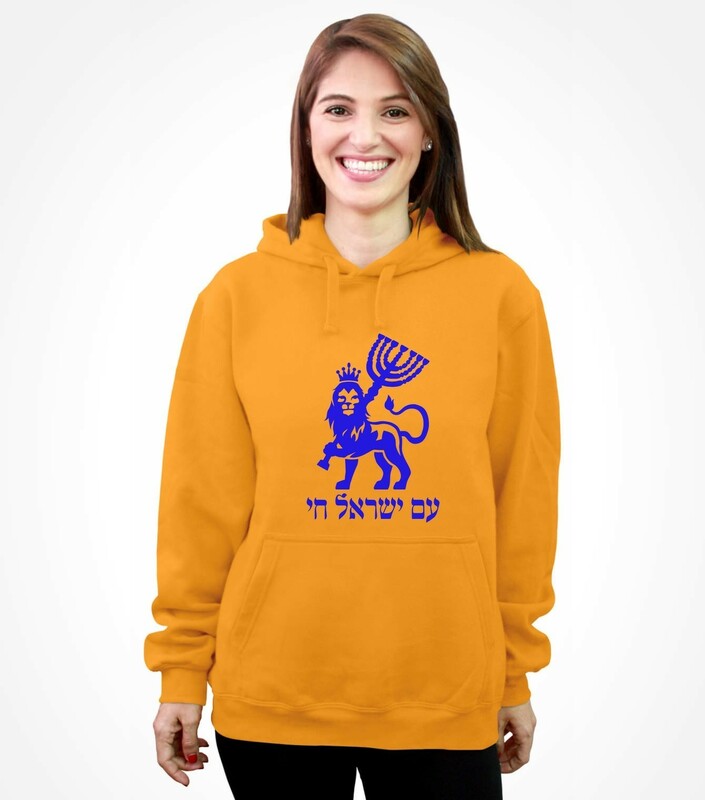 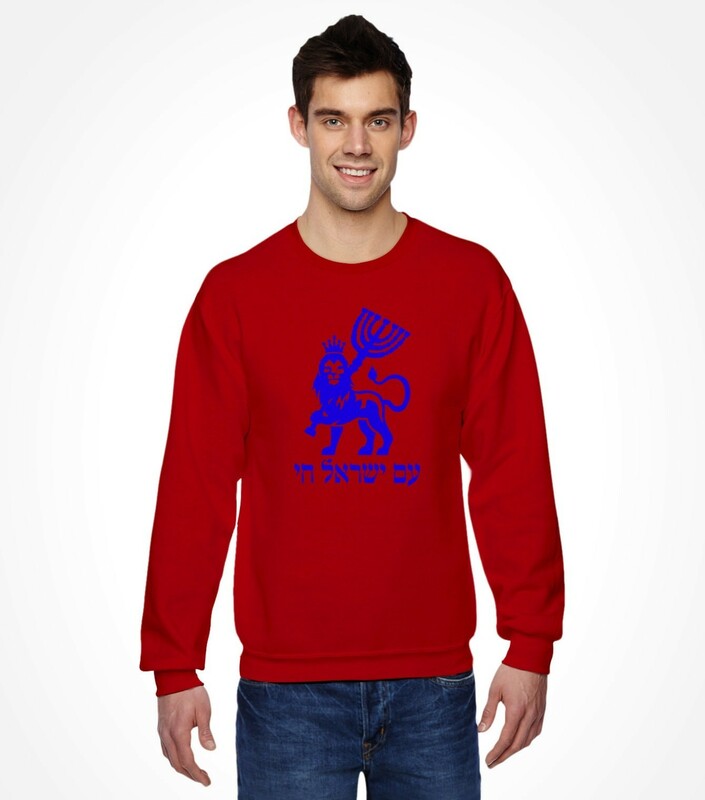 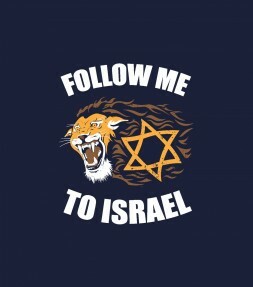 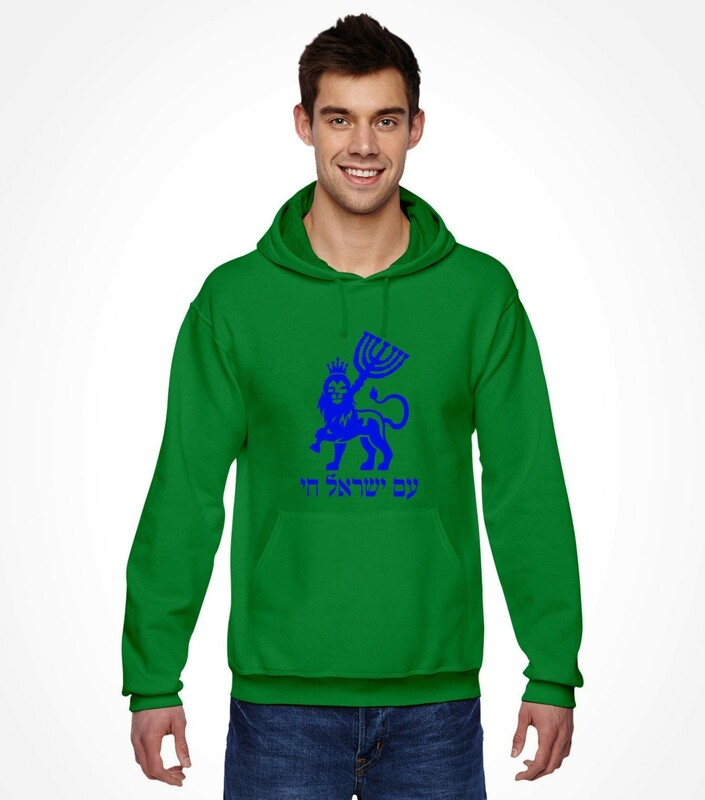 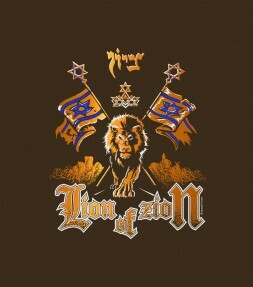 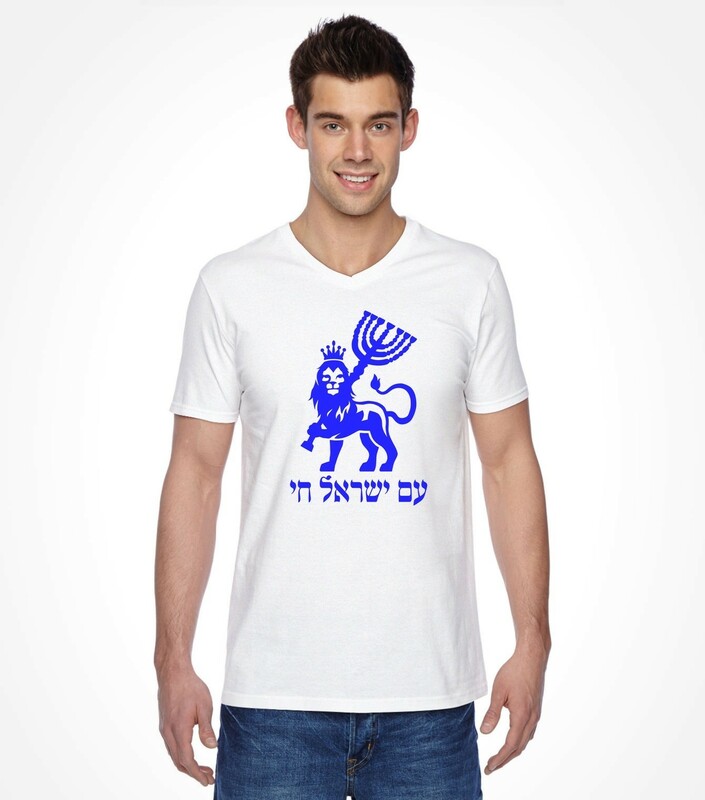 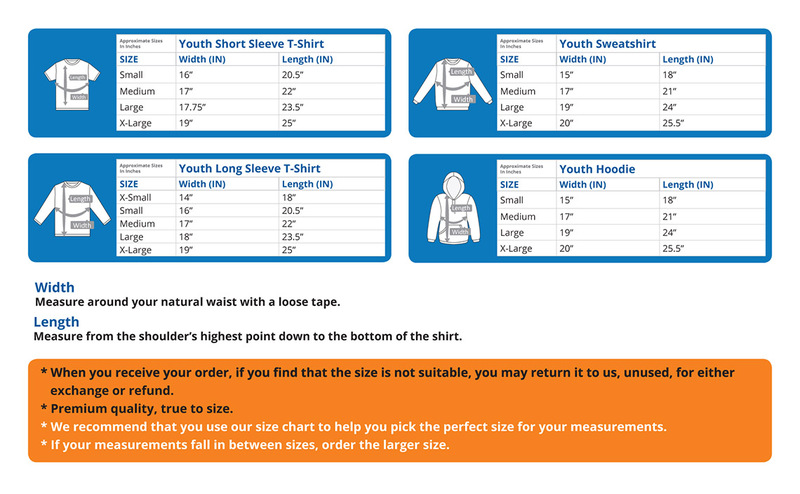 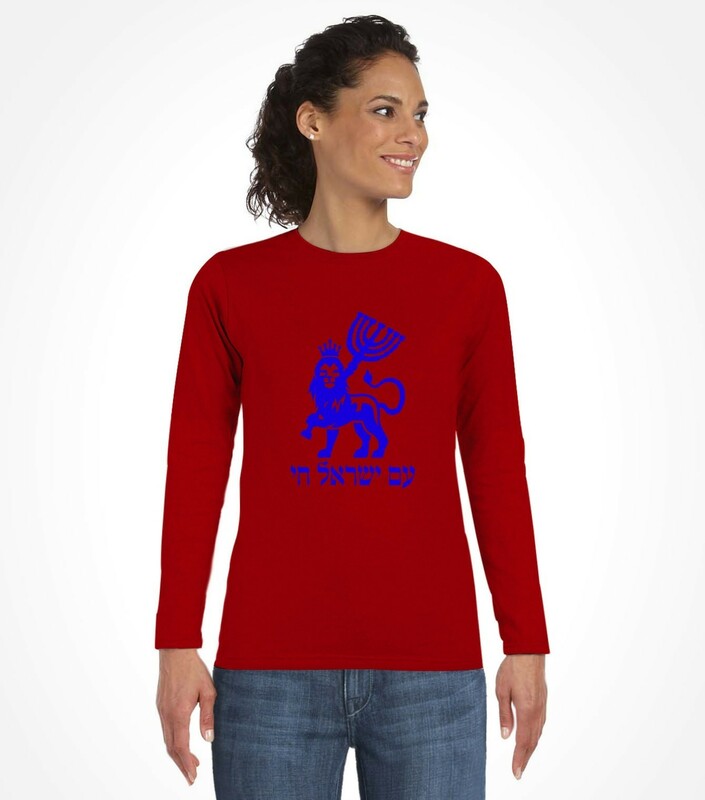 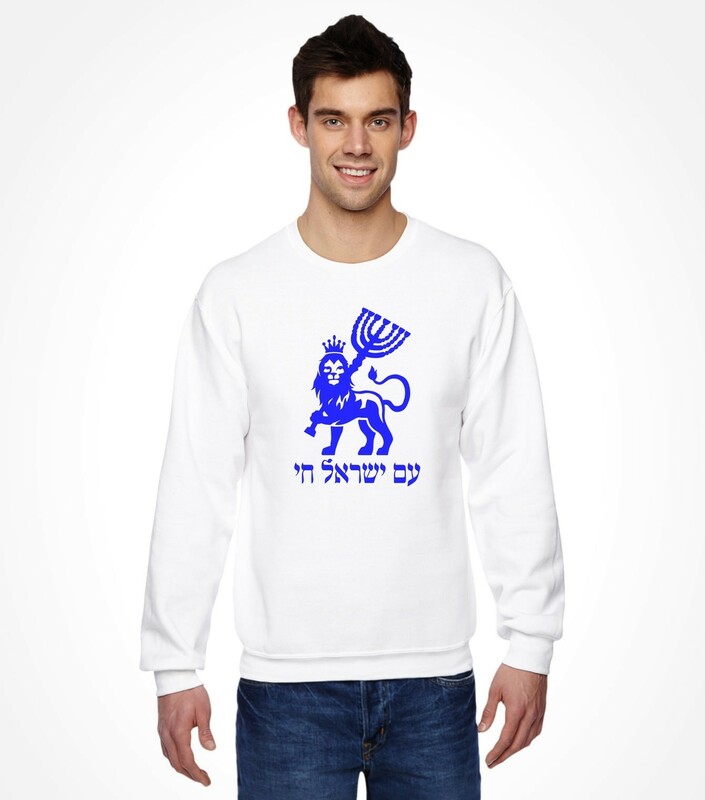 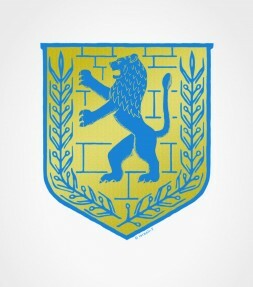 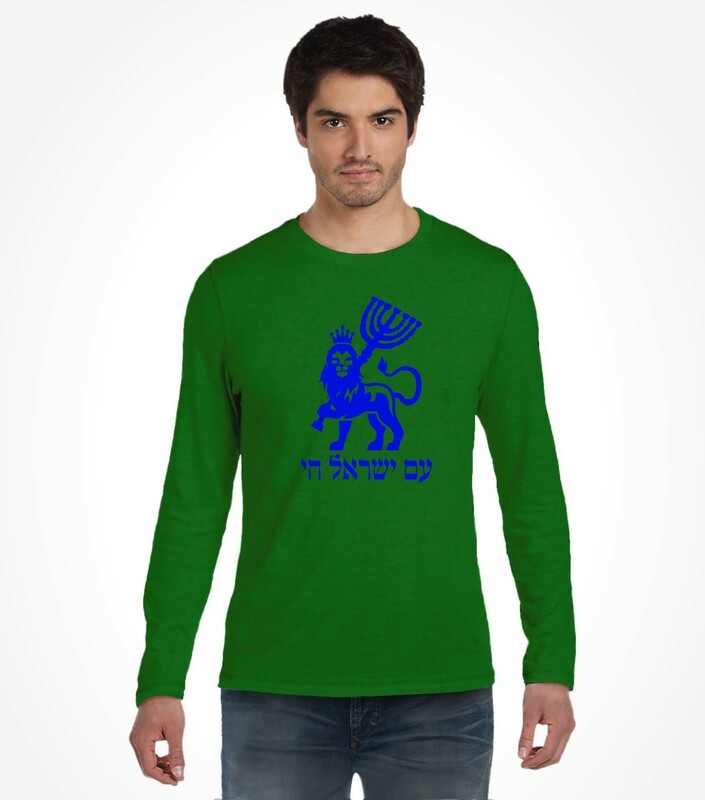 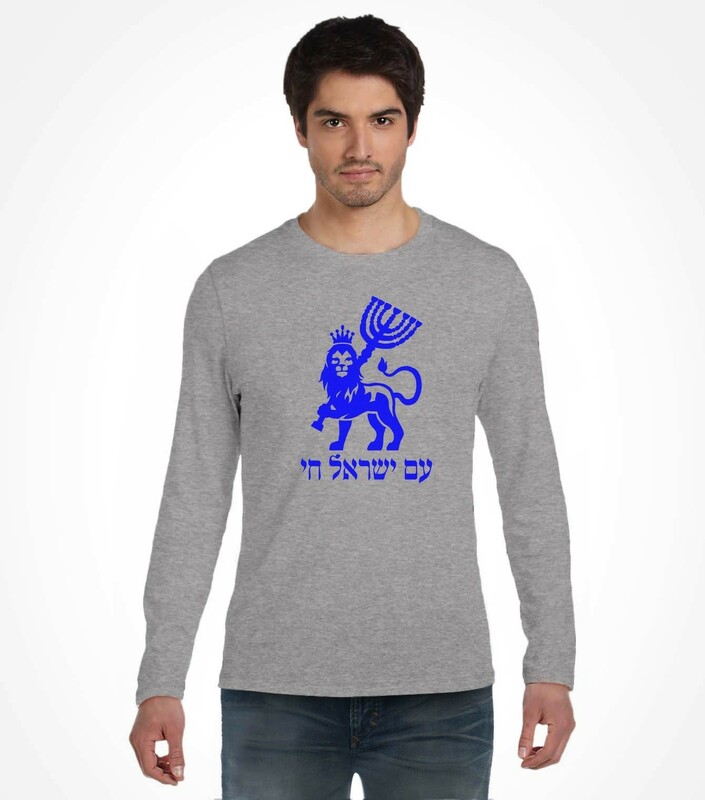 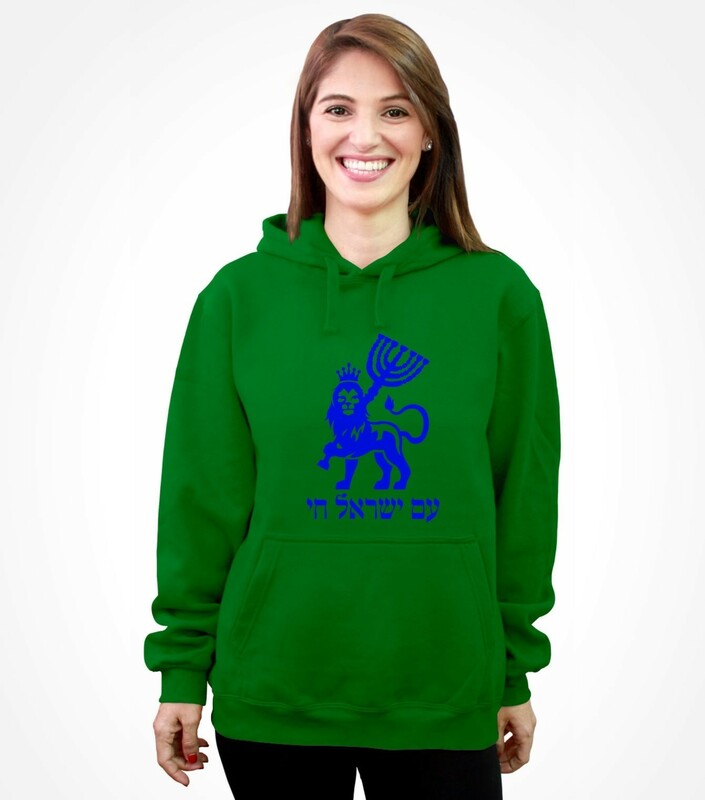 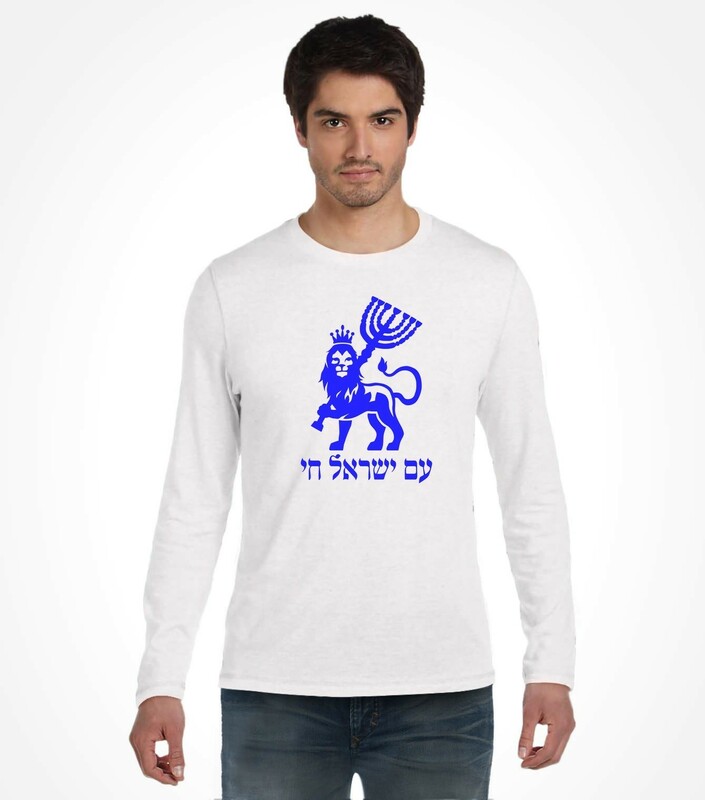 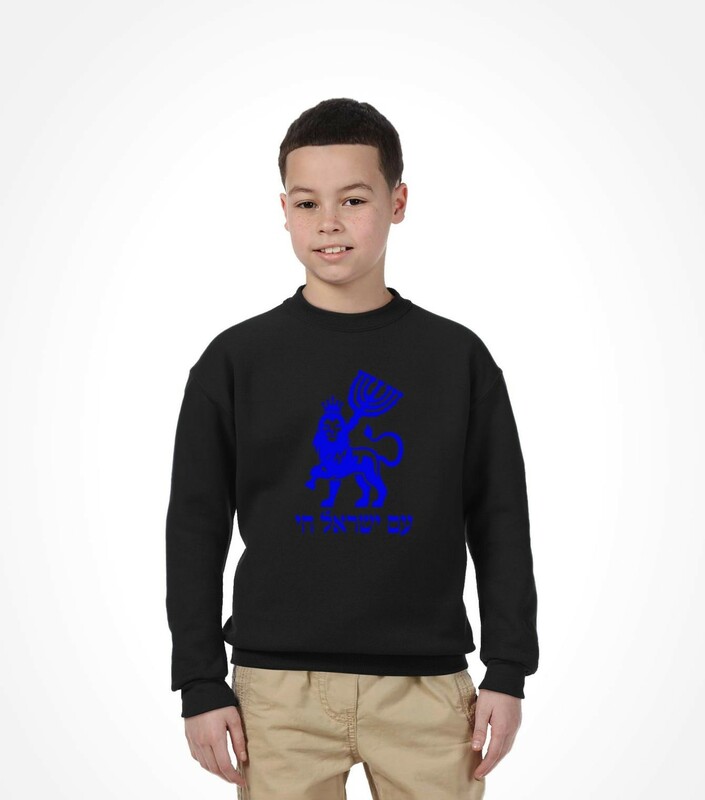 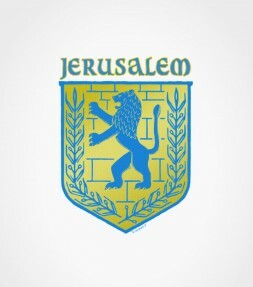 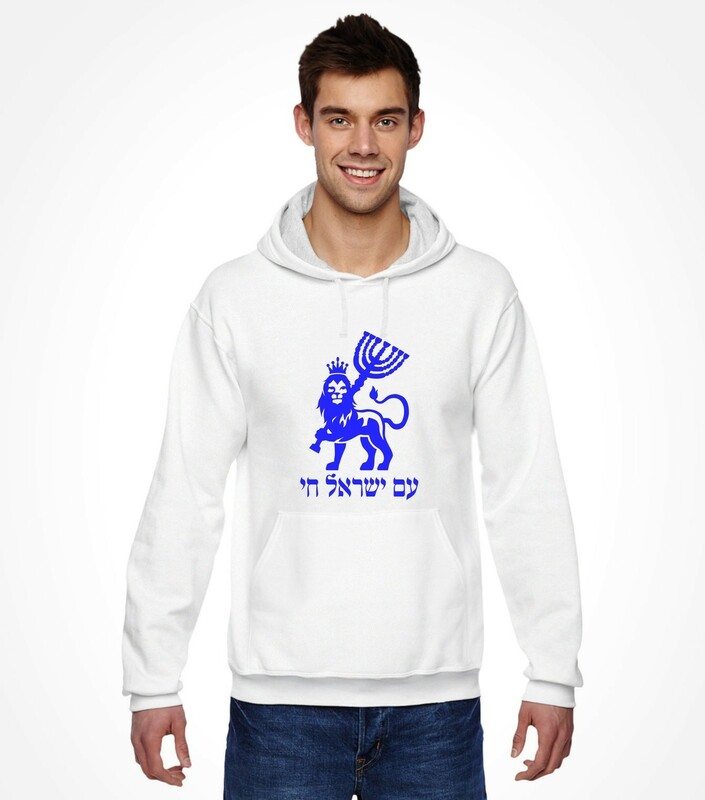 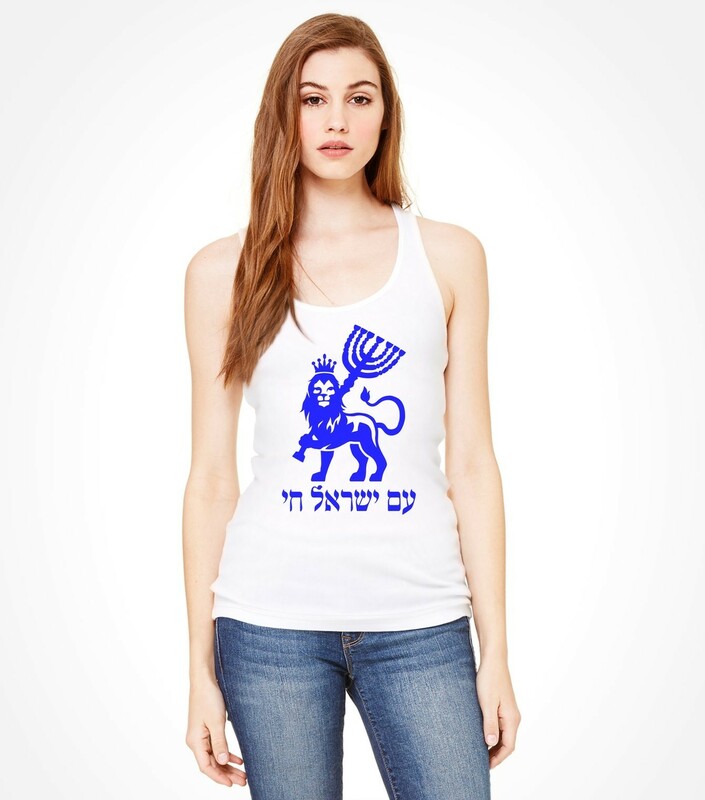 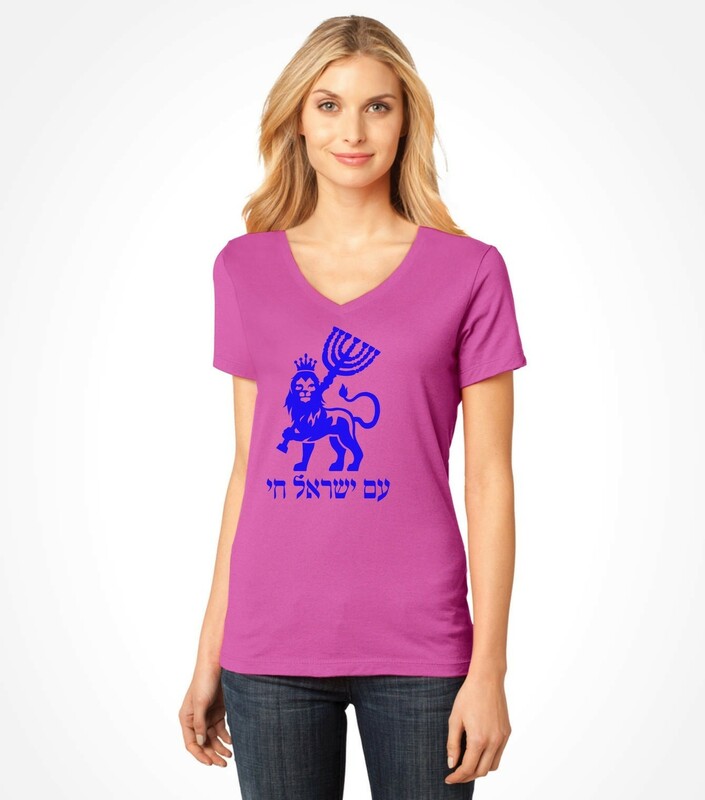 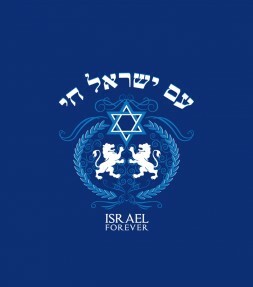 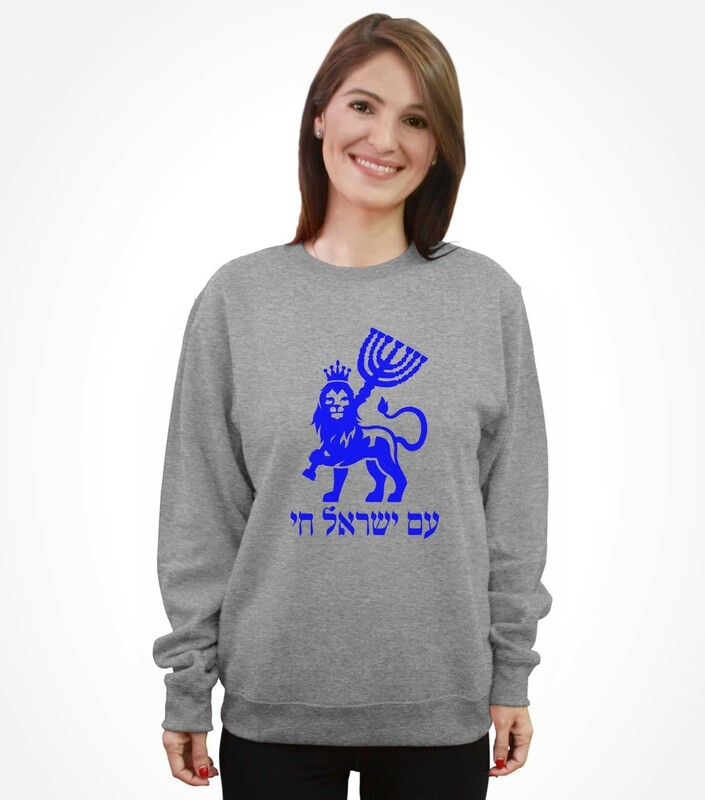 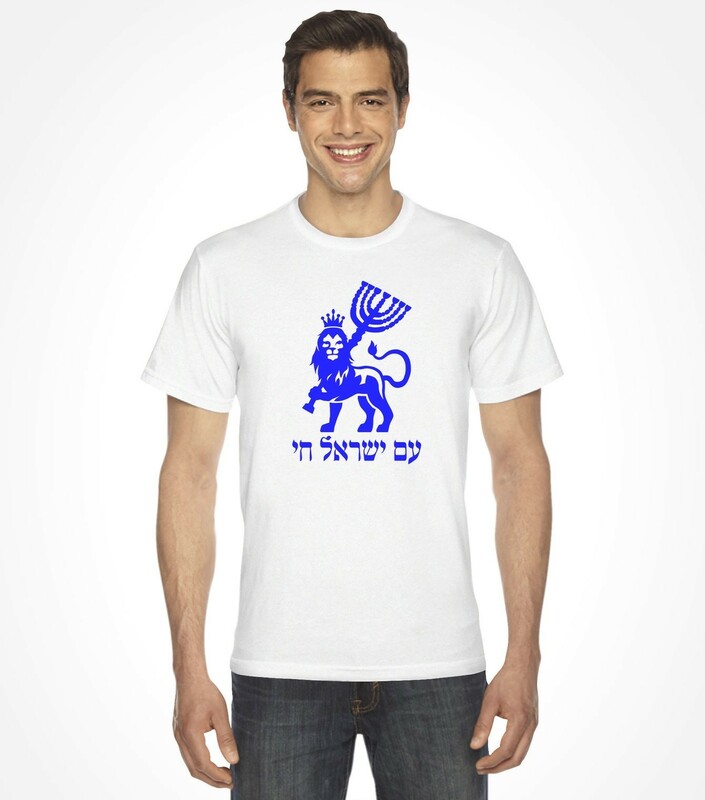 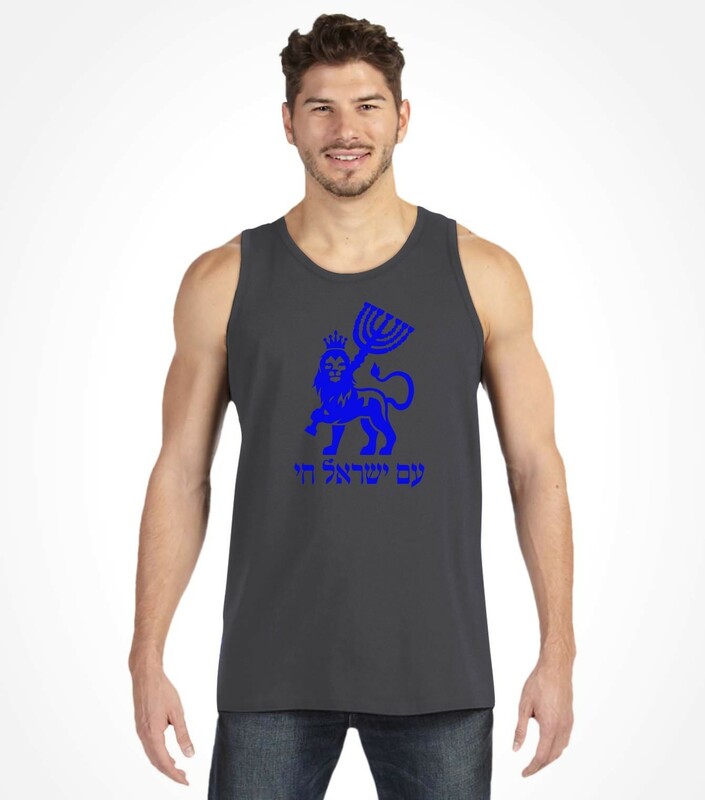 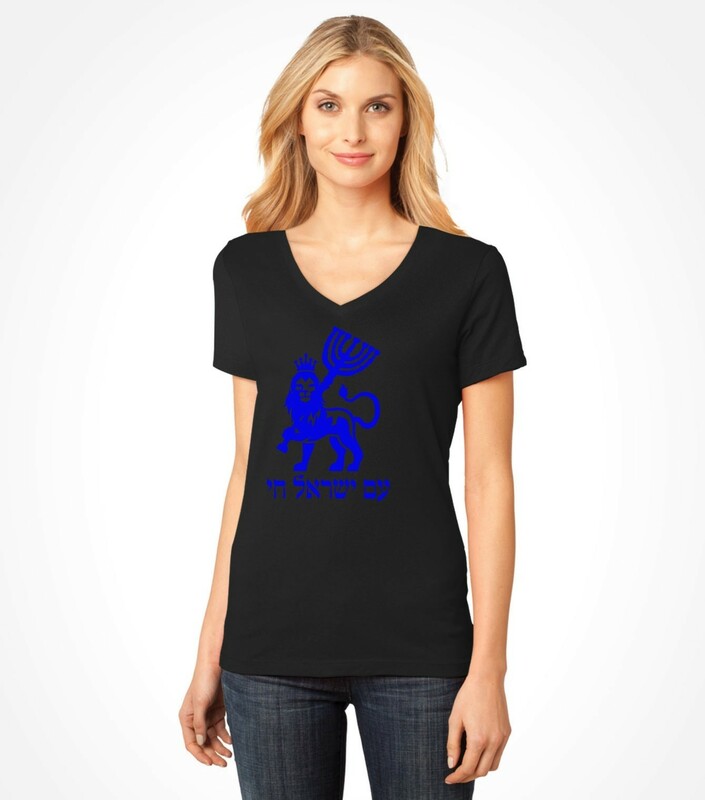 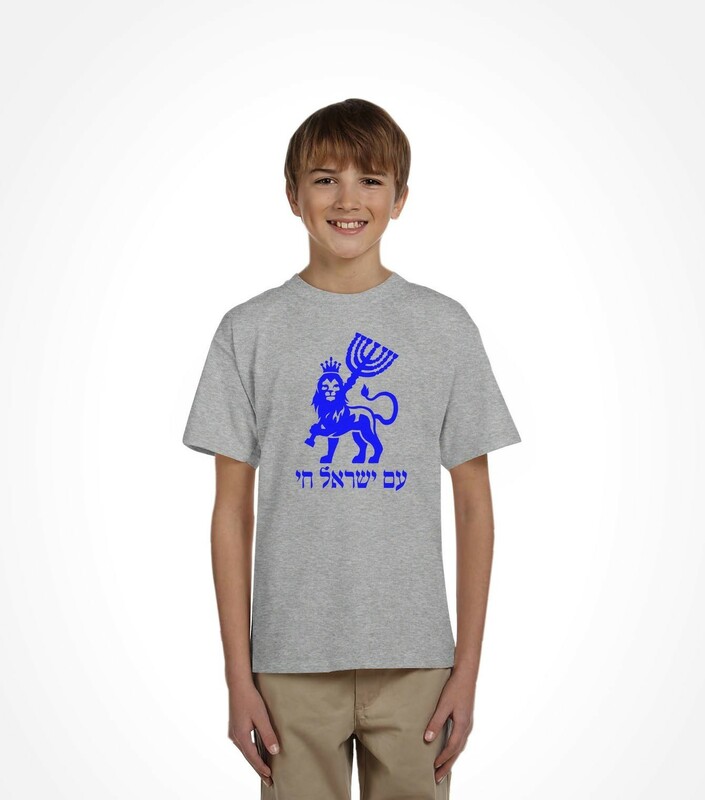 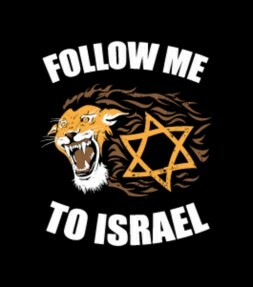 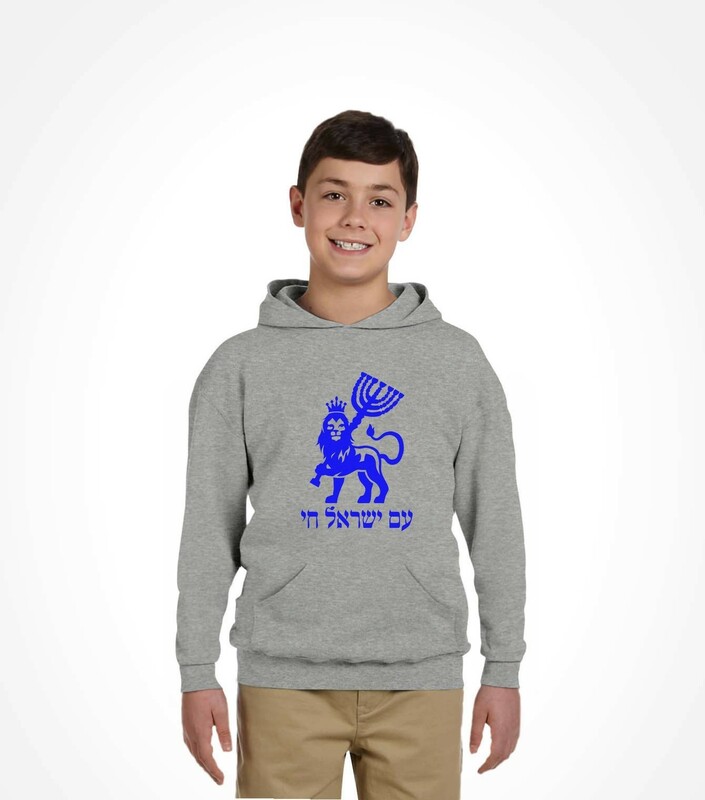 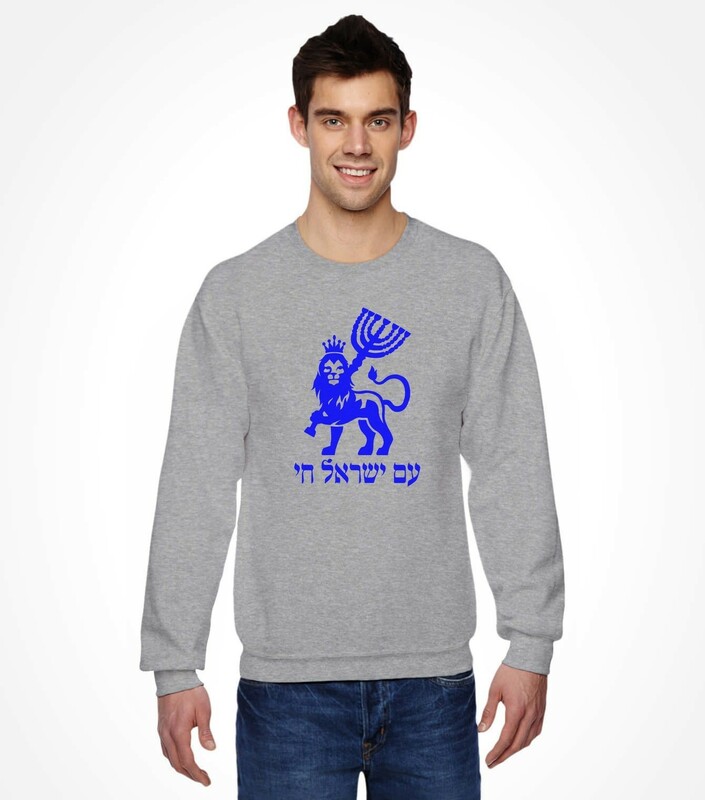 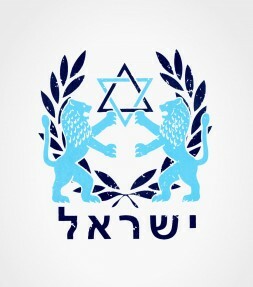 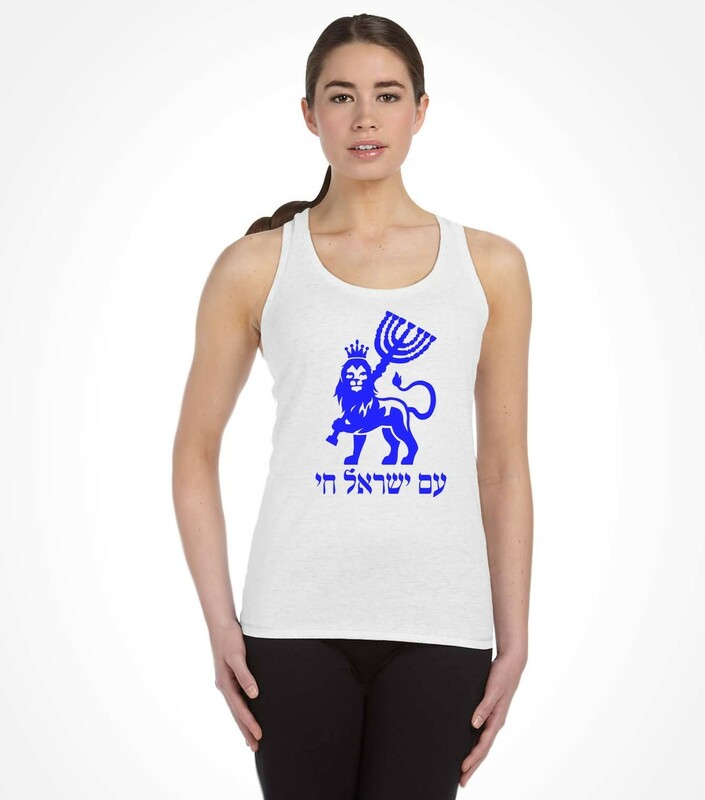 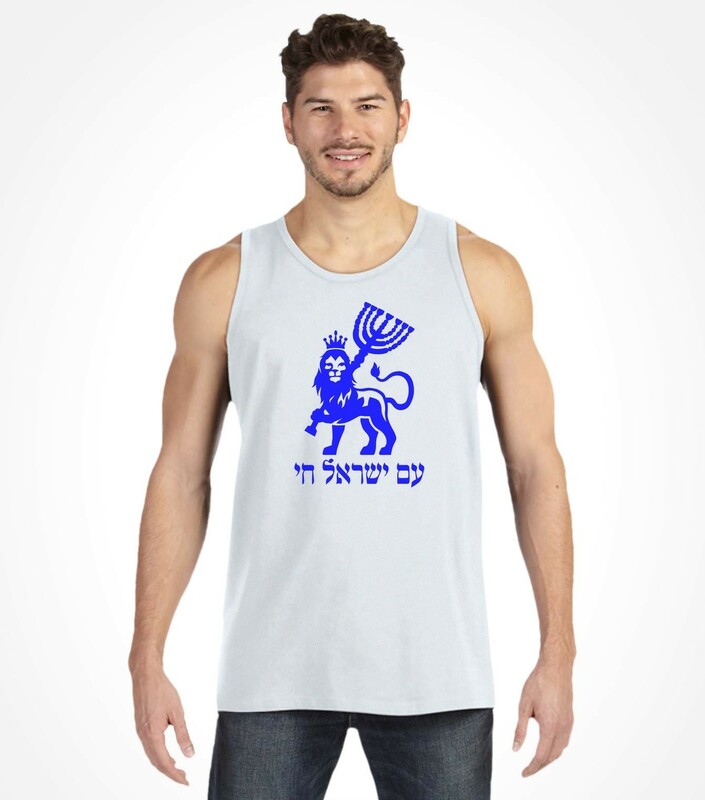 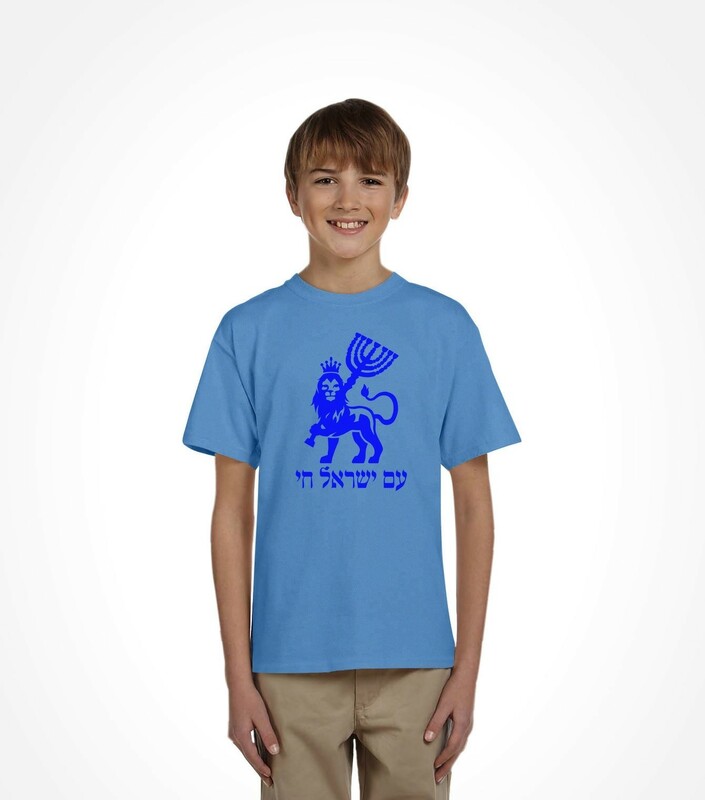 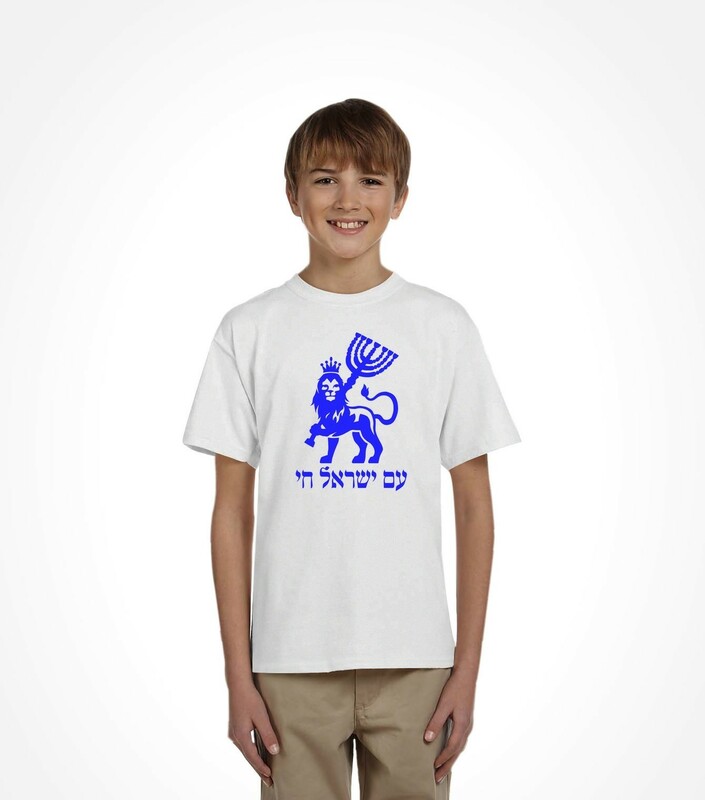 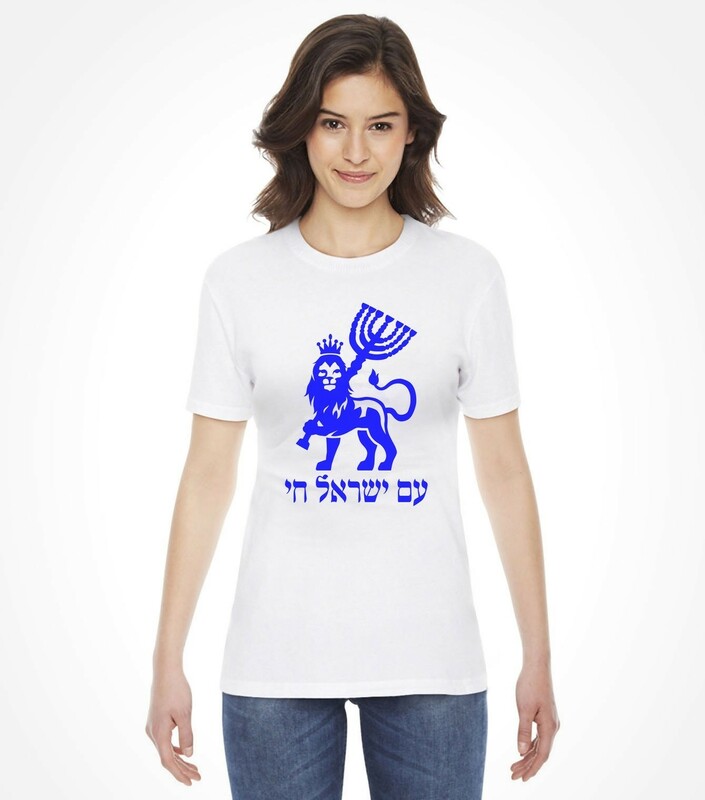 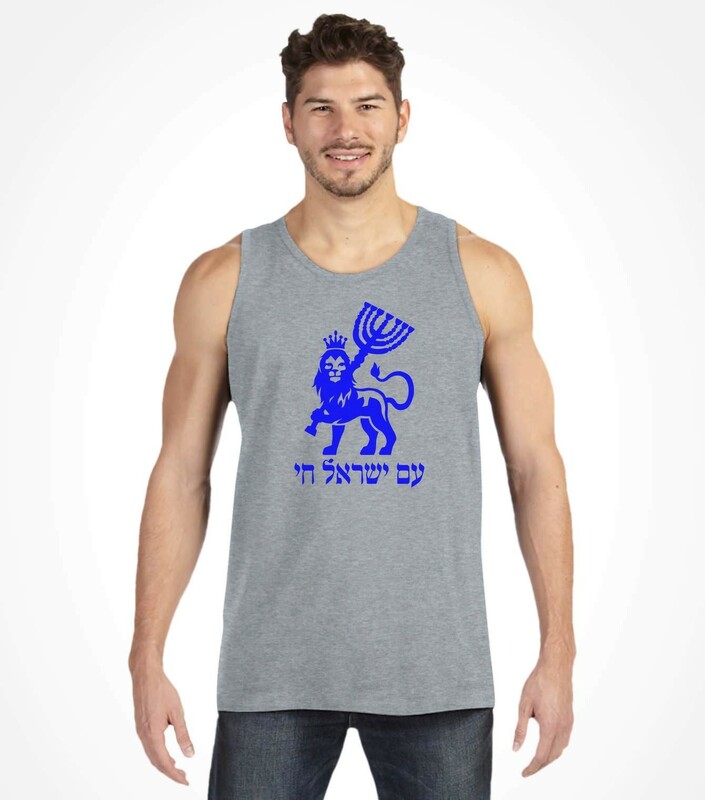 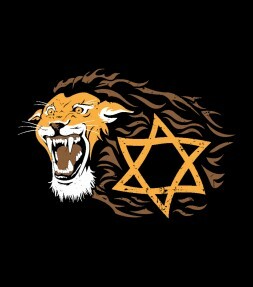 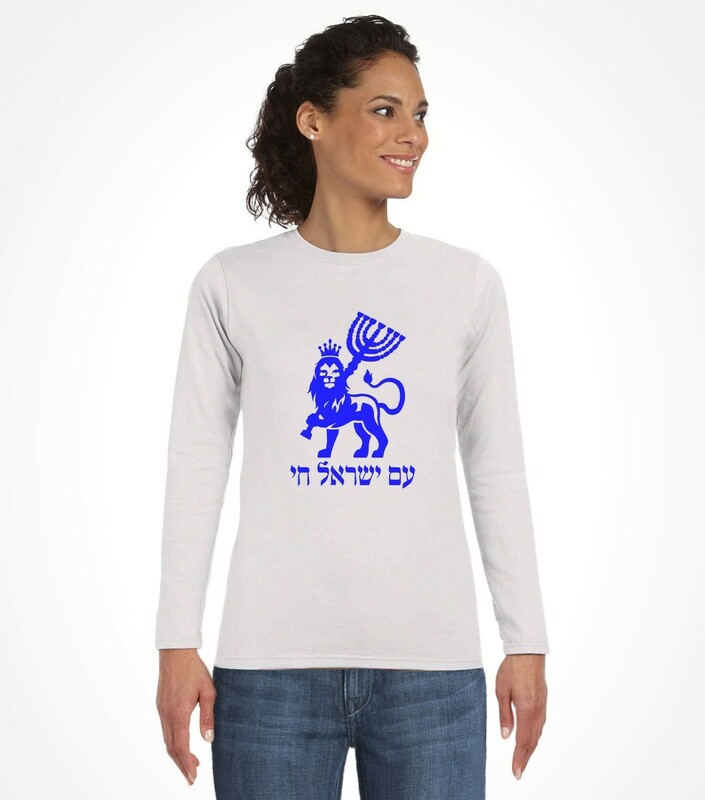 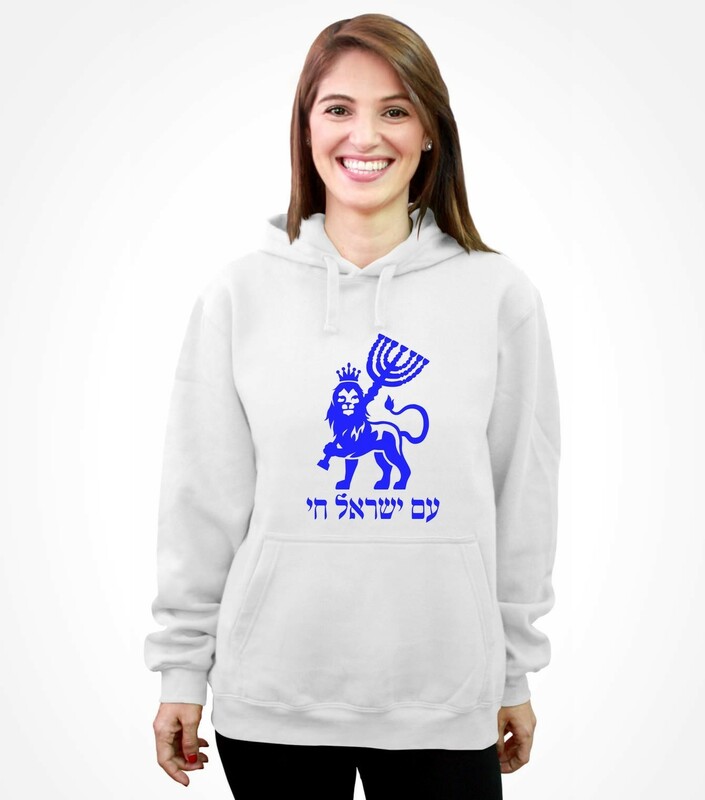 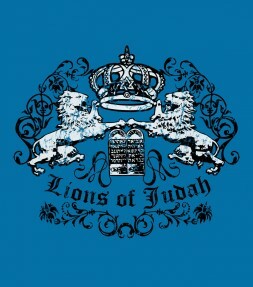 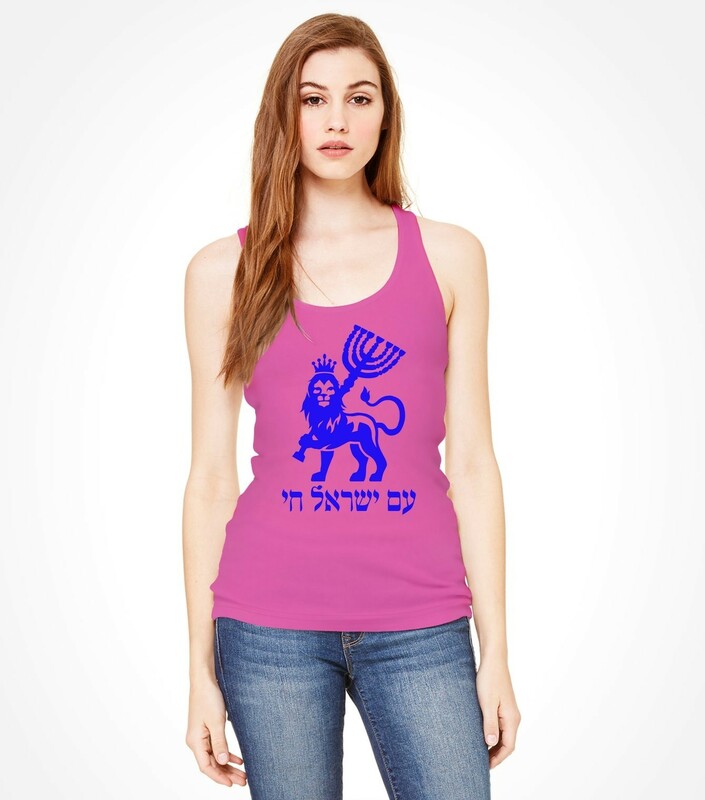 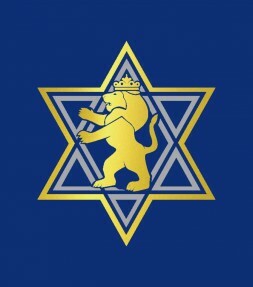 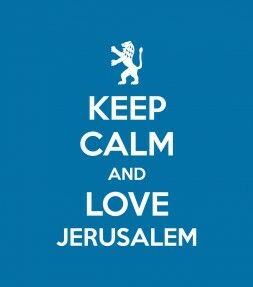 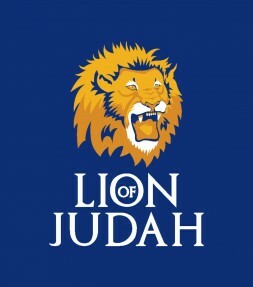 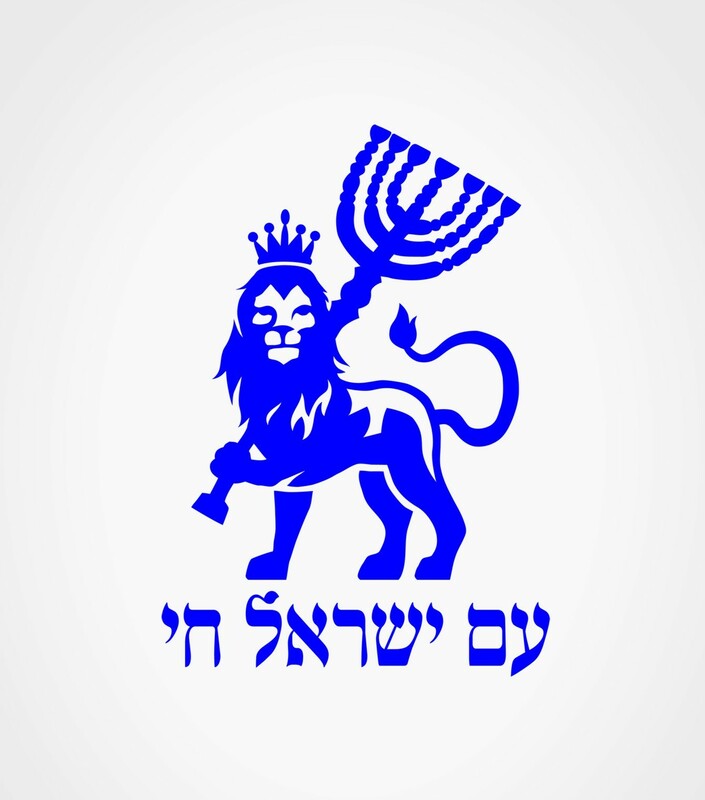 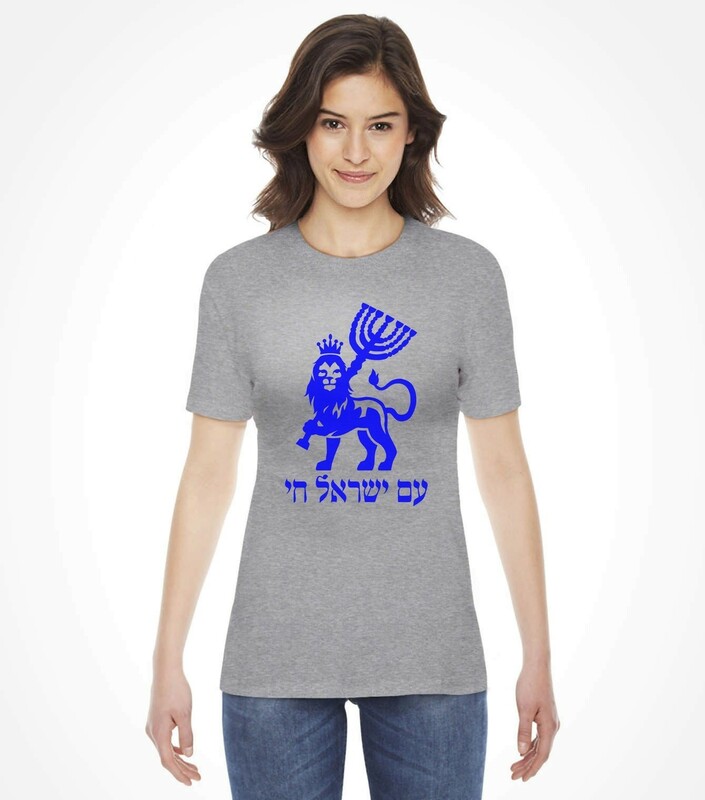 Wear this proud lion on your Hebrew shirt with pride and know that the Israel is still alive and always will be.